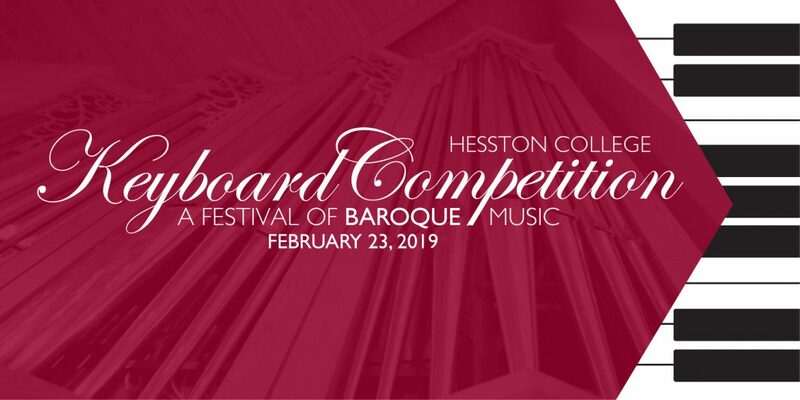 The Hesston College Music Department is proud to present the second Hesston College Keyboard Festival for pianists, organists and music lovers in the region. The festival takes place the morning/afternoon of Saturday, February 23. One or two works, no longer than 3 minutes, with one selection by a Baroque composer. One or two works, no longer than 5 minutes, with one selection by a Baroque composer. One or two works, no longer than 8 minutes, with one selection by a Baroque composer. Two works, no longer than 12 minutes, with one selection by a Baroque composer. Two or three works, no longer than 15 minutes, with one selection by a Baroque composer. One work by composer of choice for one or two pianos, no longer than 5 minutes. Students must be enrolled in a solo division to participate. Open to any age combinations; one performer may be a teacher. Outstanding duets will be invited to perform on the finals recital. All solo piano music must be memorized. Repeats are optional depending on length. Organists may enter Senior or College divisions. Organ music does not need to be memorized. Each performer will receive a participation certificate and festival T-shirt. Top 3 performers in each division will perform their Baroque selection on the finals recital. Winners of each division will receive an award, with cash prizes totaling $1000 for Senior and College Divisions.